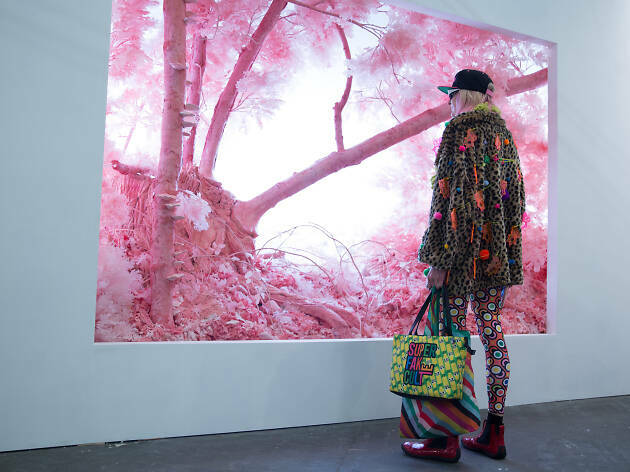 For three days or so at the beginning of each March, Armory Week—the closest thing the New York art world has to Fashion Week—brings a stampede of collectors, curators, artists and dealers (including, of course, those from Chelsea, Uptown and Lower East Side galleries) to the city. Thousands of them from all over the world rush in for a confluence of art fairs featuring modern and contemporary art of all stripes. 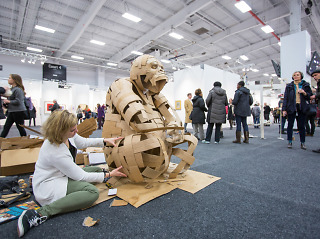 For the general public, Armory Week—which takes its name from The Armory Show—offers the perfect opportunity to discover the latest trends in art. There’s tons to see, and taking it all in can be exhausting, but there’s a fair for everyone’s taste. To help you find one that suits yours, we offer this handy guide of the best things to do during Armory Week. As its name implies, this fair is devoted to works (drawings, prints, photos, mixed-media) on paper, but not just on paper: The offerings include inventive three-dimensional sculptures and installations made out of paper. 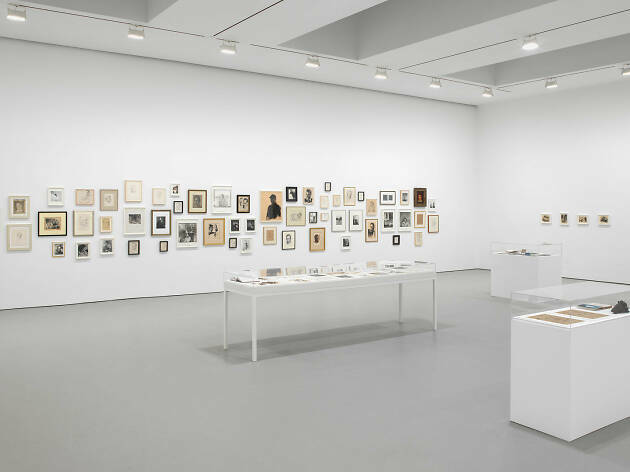 As the latter suggests, Art on Paper is dedicated to pushing the envelope on one of art’s oldest mediums. Pier 36 at Clinton St and FDR Drive (thepaperfair.com). Mar 8–10; Fri, Sat 11am–7pm; Sun noon-6pm. $25 single day, $35 run of the show. 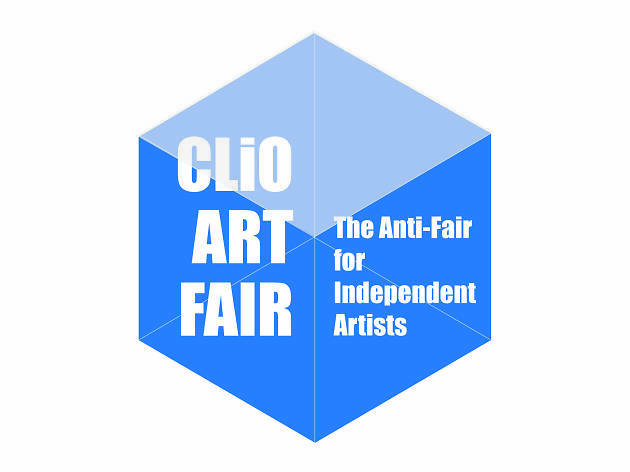 This self-style anti-fair art fair features curated presentations of artists who are currently not represented by a gallery. 550 West 29th St, March 8–10 (clioartfair.com). Fri, Sat noon–8pm; Sun noon-6pm. $18, students and seniors $10. This year, NADA has decided on a different tack for Amory Week. Instead of a fair, it will be conducting guided tours of 50 art galleries, non-profits and alternative spaces around New York City. Tours take place through Mar 10. Information on specific dates, location and times can be found here. 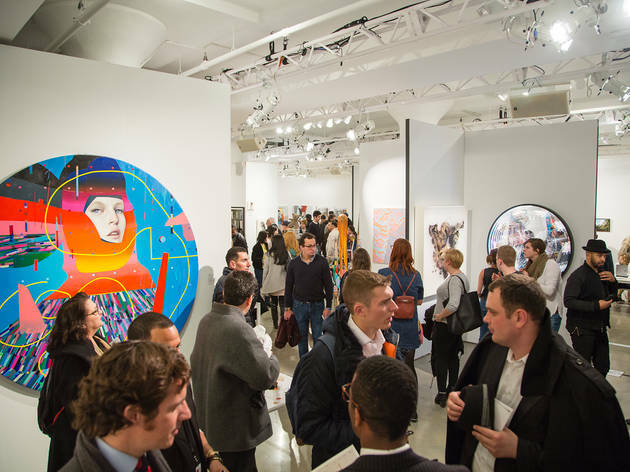 Armory Week’s namesake event started life in 1995 as a funky gathering of young downtown dealers at the Gramercy Park Hotel, and has since grown into one of the art world’s biggest events. 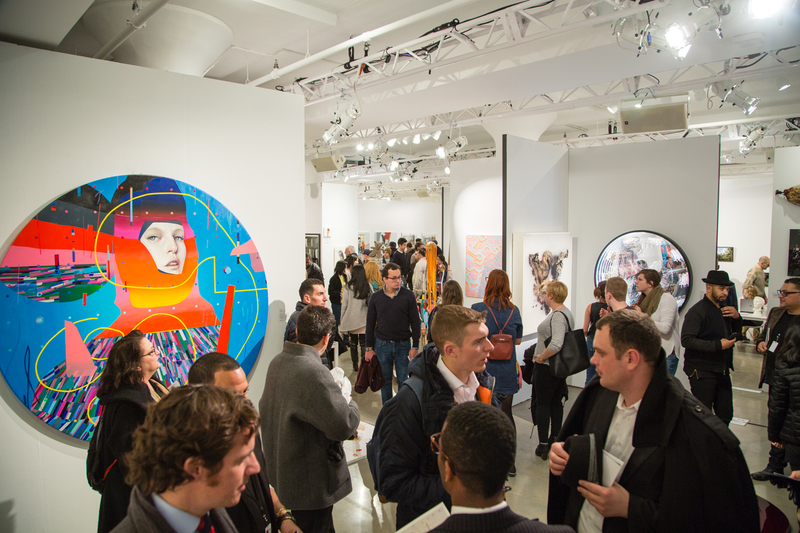 Previous Armory Shows have featured separate fairs-within-the-fair devoted to 20th-century modern and contemporary art, respectively, but this year, the two are combined into one event showcasing more than 200 galleries from 30 countries, as well as talks, programs, performances and commissioned artworks. Piers 90 & 94, 711 Twelfth Avenue at 55th St (212-645-6440, thearmoryshow.com). Mar 7–10, Thu, Fri noon–8pm; Sat noon-7pm, Sun noon–6pm. Ticket prices can be found here. 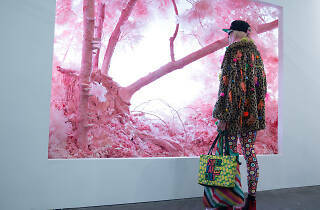 Kick off Armory Week in style at the Museum of Modern Art’s annual fete celebrating the opening of the Armory show. Sure, it’s expensive, but where else can you find a chance to rub elbows with so many artists, curators, collectors and other art-world habitués? Another bonus: live performances and dj sets. Museum of Modern Art (MoMA), 11 West 53 St (212-708-9680, moma.org). Mar 6, 9pm–12:30pm. $150. SCOPE was the first fair to run concurrently with The Armory Show (in 2000), so in a sense, you can thank it for starting the whole Armory Week business. SCOPE features emerging artists and a “Breeder Program” which invites brand-new galleries to make their art-fair debut. Metropolitan Pavillion, 125 W 18th St (scope-art.com). 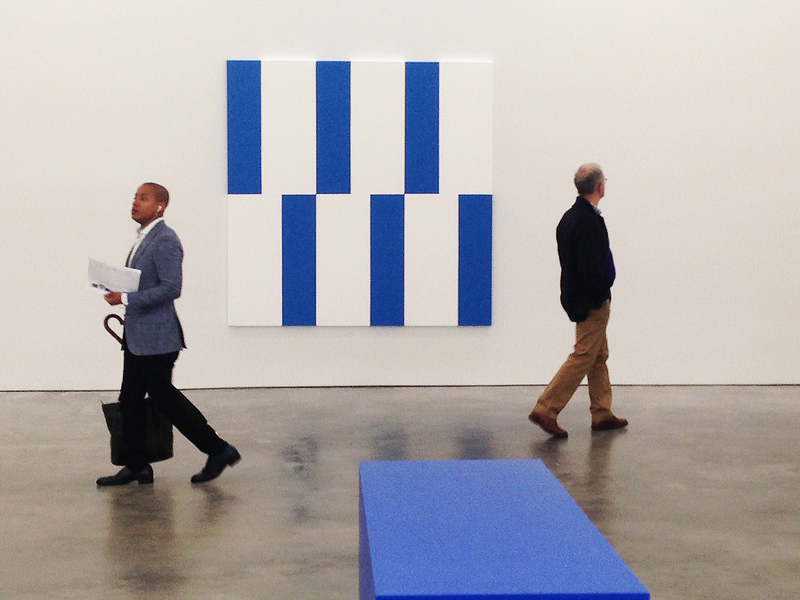 Mar 8–10, Fri, Sat 11am–8pm; Sun 11am-7pm. $25. Launched in 2011, this scrappy fair sets itself apart by having outside curators select the artists. Also, the shows are mounted in unconventional locations: Previous editions have set up shop in the Cathedral School of Old Saint Patrick’s in Nolita and at the former James A. Farley Post Office across from Madison Square Garden. This year’s event moves to the East Side next to the United Nations Building. 866 United Nations Plaza, March 6–11 (springbreakartshow.com). Daily 11am–7pm. $20.